October 2011 – Wheeler Blogs. When Google+ was released to the public on Sept. 20, 2011, it instantly became the hottest social networking site ever to grace the web. While Google+ set new records for being the fastest growing social networking site ever to reach 10 million users, when beta was lifted and it was released to the public, the numbers climbed even quicker. In the two days after Google+ went public, another 9 million people created accounts. Google+ now has more than 40 million users. While Google+ is nowhere near Facebook’s nearly 800 million users, many social media ‘experts’ view Google+ as a ‘game changer’ and one that will be around for the long haul. However, many critics view Google+ as being too much like Facebook and argue the site is too difficult to share content and easily build your online presence. Many have referred to Google+ as a social media ‘ghost town‘ with nothing but tumble weeds and social media geeks roaming around like zombies. MySpace is probably the first site to come to mind when thinking of failed social networking sites. Once Facebook’s biggest competitor, MySpace slowly went from being a cool site with more freedom than Facebook to one reserved for tweens. MySpace now considers itself a ‘social entertainment’ site. Launched in 2002, Friendster was the first known online social networking site. When Facebook came around, it lost its luster in the U.S. and was sold to Malaysian company MOL global in 2009. The site has since been re-positioned as a social gaming site. Orkut is another social networking site launched by Google in 2004. Still owned and operated by Google, the site is now one of the most visited sites in India and Brazil. Oddly, Orkut’s logo still maintains ‘beta’ in it’s logo. Also, the current layout and design resembles that of Google+. Bebo is a site that just never really gained any traction. Originally launched by a husband and wife duo in 2005, Bebo was later purchased by AOL in 2008. AOL had little luck with the site and turned it over to Criterion Capitol Partners last year. I think I might have an account set up, not sure. Possibly my favorite social media ghost town, hi5 was launched around the same time Facebook was making its way across college campuses. I remember using the site to post stupid pictures and wish people happy birthday. Still independently owned, hi5 probably met its demise from the inability to control spammy content (at least, that’s why I closed my account). A quick glance at the homepage now reveals it has since re-positioned itself as a social gaming site. *Bonus: I didn’t want to pick on Google too much more, but Google Buzz is another flop that deserves mention. Google Buzz is not your typical social media ghost town because it lacks the user profile and home feed function of the others mentioned. Although a great idea to integrate a social networking site within the most powerful email host in the world, it lacked some of the basic functions that make a social networking site ‘social.’ I still have my Twitter account connected, and every once in a while, one of my five followers will ‘buzz’ me. I usually get confused and think it’s an email. 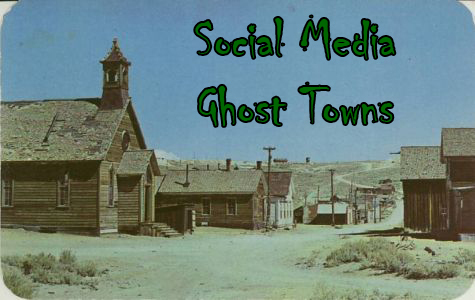 What is your favorite social media ghost town? Did I miss any of the biggest social networking flops? 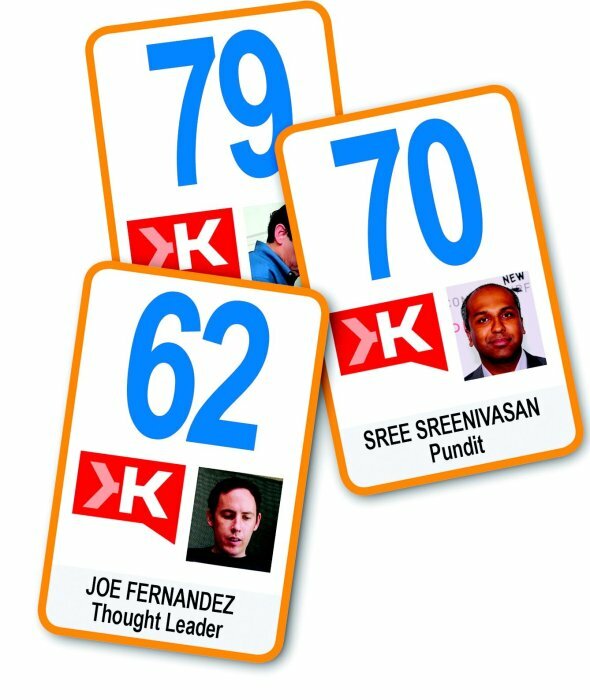 My Klout Score Just Dropped by 16 Points–Should I Care? Klout has changed its scoring algorithm and your score dropped. Now what? Today I went to check my Klout score–knowing the day before was one of my most active days on Twitter ever–only to discover my score had dropped by about 16 points. Odd. At first I thought I had misread the number. Not the case. I noticed my score for the past 30 days was lower across the board. My new Klout graph indicates my score has been steadily dropping during the past 30 days, which is in contrast to what it has been indicating (steadily increasing). I then found Klout’s blog “A More Accurate, Transparent Klout Score.” They’ve changed their algorithm–drastically hurting my score that I worked so hard to increase. Not really a big deal since I never really bought into the system in the first place. I did, however, view it as a way to gauge how effective my tweets are. For the past couple months I have been scouring the internet for the best blog posts and articles relating to public relations, social media and marketing. Everyday, I search for the best and most relevant articles I can to share with my followers. I not only do this to hopefully get a few retweets and maybe open up some discussion on the topics, but I also do this for my own benefit to learn more about the PR and marketing industries and stay up-to-date on current trends. Klout scores range between 1-100 – 1 being a sign that you may have gone to Facebook, Twitter, or LinkedIn once in your life and 100 meaning that there is some godly aura floating around you, your name is probably Justin Bieber, and that people literally eat up every word you say for breakfast, lunch, and dinner (See: Justin Bieber Cereal). Most celebrities have Klout scores of 70+, with Justin Bieber at 100 and Lady Gaga at 93. Companies partnering with Klout.com are already giving away “Perks” to a certain number of influencers depending on their Klout number and which topics they are influential about. It may seem completely ridiculous that Justin Bieber has a score of 100 and the President of the United State has a measly score of 88, but that’s how Klout sees it. How Klout has actually become the standard for measuring the online influence for individuals and brands alike is beyond me. I would imagine they were able to secure major investors, do some killer PR and get the right “perks” out to make their mysterious algorithm seem credible. According to Klout, Justin Bieber is more influential than the President of the United States. Fascinating. I think I will just let Klout be and look for other means of measuring personal success in the social media realm. I will continue finding relevant articles and creating my own content my connections will appreciate. After all, I’m really only on Twitter for two reasons: 1. to learn and 2. to build my social network and meet people with similar interests. Your Klout Score Probably Just Dropped – Do You Care? 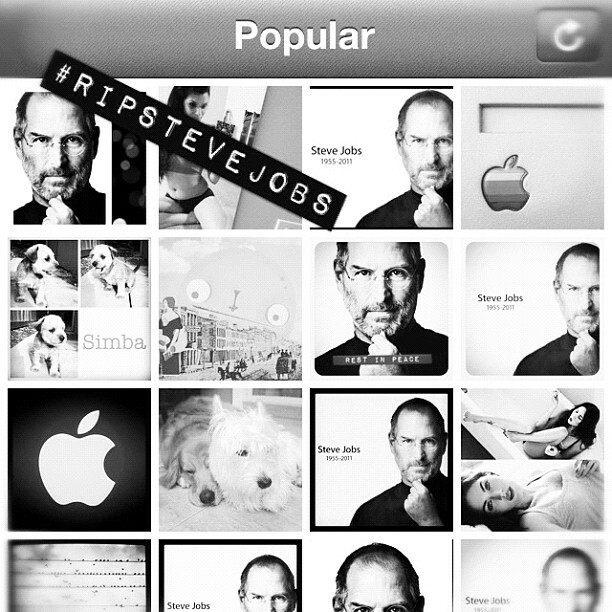 Instagram users react to the passing of Steve Jobs. After having a few days to digest, I feel prepared to write a short piece on the death of Steve Jobs. I learned of his passing via a push notification from the AP news app on my iPhone. At first, I thought it was a tasteless joke. There had been a number of Twitter hacks before, including CBS mistakenly reporting the death of Steve Jobs on Sept. 9, 2011. There was actually not a story in my AP app about the passing of Steve Jobs, so I went to Twitter to see what was going on. Sure enough, several other news sites and trusted followers were tweeting the sad news. Silvia using her mom's iPod Touch. The success of Steve Jobs is in the simplicity of Apple's products. Whether or not Steve Jobs single-handily changed the world is up for debate. However, I don’t think too many people will argue Apple products are easy to use. Some may think of me as a bit of a tech geek, but if my aunt asks me to help her install a new app on her Android-based phone, I get lost in the process. Anything I do on my iPhone is easy. 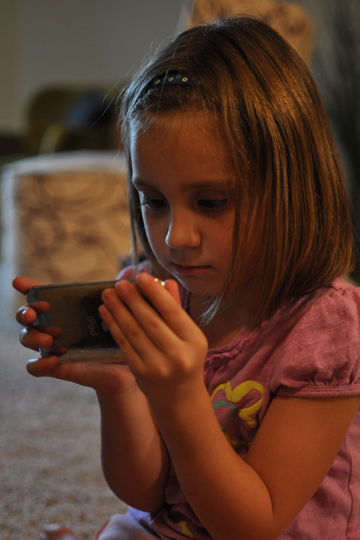 Apple’s products are so simple, my girlfriend’s 5-year-old daughter can easily use her iPod Touch. “For something this complicated, it’s really hard to design products by focus groups. A lot of times, people don’t know what they want until you show it to them. Apple products have had a major impact on my life and many others. May Steve Jobs rest in peace.